The Cognac region consists of six vineyard growth areas, called ‘Crus’, or ‘terroir’. The grapes used for Cognac brandy must always come from this French region. The area covers the Charente-Maritime, a large part of the Charente, and some smaller parts of Deux-Sèvres and the famous Dordogne. The “Origine Controlée Cognac” (AOC) Cognac is an Appellation that totals about 79,000 hectares of vineyards (that’s 790 million square meters). The wine region of Cognac is the second biggest of France, right after the wine region of Bordeaux. Terroir, or to translate literally, the land, earth or soil, is one that can be found peppered amongst all kinds of information about Cognac. But actually, what does it really mean? And, even more importantly, what bearing does it have when it comes to making a purchasing decision? The simple answer to that question is, ‘quite a lot’. So let’s attempt to demystify what is quintessentially a French word, and why for the best Cognac experience, it really is beneficial to pay attention to the terroir. 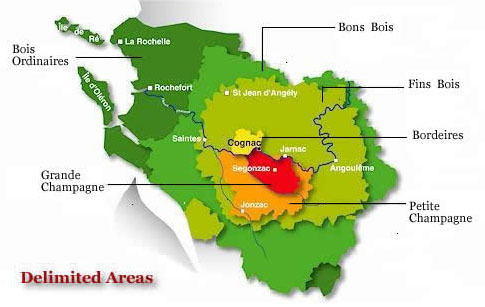 In the Cognac regions there are six different growth areas: Grande Champagne, Petite Champagne, Borderies, Fins Bois, Bons Bois, and Bois Ordinaires. These areas are referred to in many ways, such as ‘cru’ or ‘growth region’. But those in the know about Cognac will always use the word, terroir. This is because terroir actually means far more than simply the land or soil. It’s a unique description that describes both the geographical AND the climatic conditions. This is very important, because both have a real bearing on the grapes that grow there. The soil in each terroir is unique, and it’s this earth that nourishes the vines and grapes that come to life. Because the soils are so different, so are the grapes that grow there and therefore the wine they produce. And naturally, these differences continue right down the line to the end product that we call, Cognac. The Petite and Grande Champagne regions in Cognac should not be confused with the famous region of Champagne, which is situated in the north of France. The Champagne wine region produces the iconic sparkling wine so synonymous with special occasions. Read more in our article, Why is Cognac called Champagne? to understand this confusing terminology. The table below shows the approximate sizes and differences in soil type of the six terroirs. The soils in each–and indeed, within each terroir–can have dramatic differences. In one place you might find a lot of sand, and only 700 meters away the soil might be very chalky. 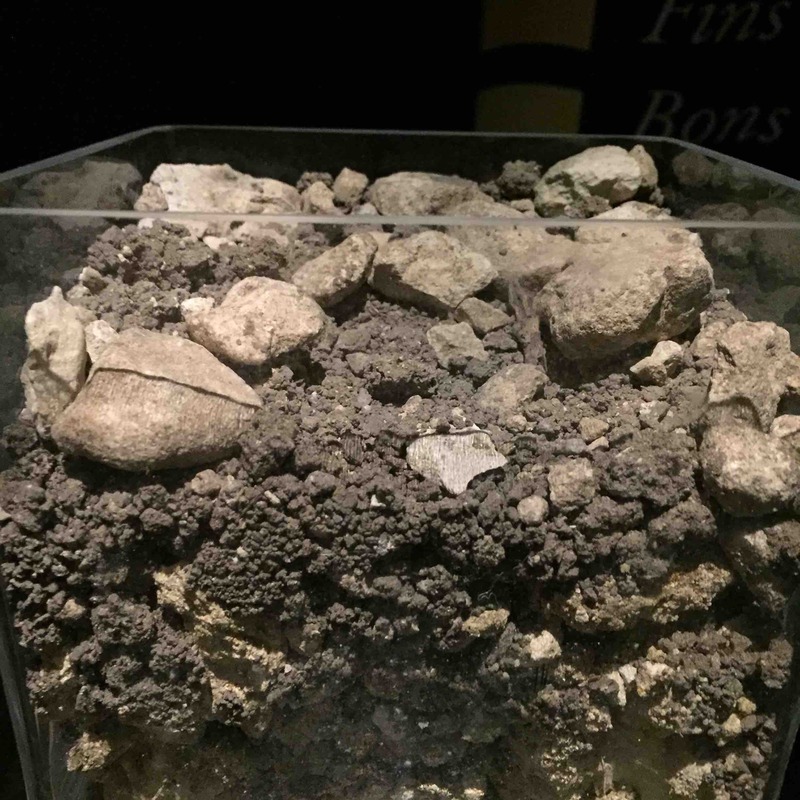 The soil in the Cognac region is pretty extraordinary. It’s part of a region known as the Aquitaine basin, and has been formed thanks to global climate change over the millennia. The seas moved inland and out again, laying down layers of marine sedimentary deposits from as early as the Jurassic period. And yes, this makes for soils that really do contain micro remains of dinosaurs. Throw erosion and tectonic forces into the mix, fast forward 200 million years to today, and you end up with a landscape that is totally dominated by chalk. In the mid 1800s a detailed evaluation of the Cognac landscape was undertaken by local geologist, Henri Coquand. This took him over a decade to complete, and was the first in-depth geological survey ever carried out in the area. In addition Coquand was accompanied by an oenologist, an expert in the science and study of wine making. Not only did their results determine the boundaries of the individual terroirs, but also how best the wine from each region would be distilled and aged, as well as the quality that each produced. In addition, he also identified five specific types of soil that were particularly suited for the production of the best quality Cognac. We’ll talk more about these soils in the individual growth region descriptions below. As you’re about to find out, the production of Cognac has as much to do with the chalk content of the soil as anything else. And if you thought chalk was simply chalk, then think again. Because the type of chalk contained within the soil really does determine the taste of the Cognac you drink today. Chalk makes soil crumbly and friable. It’s this physical property that’s so important to the grapes that grow here. Let’s take a look at each area and terroir in more detail. The two best growth regions are named respectively, Grande Champagne and Petite Champagne. Historically the eaux-de-vie created in these regions is the most sought after and commands the highest prices. However, there has been a definite shift over recent years as consumers become more experimental with their tasting experience. For while it’s a truism that these growth regions do produce the highest quality eaux-de-vie in the traditional sense, the penchant for people to appreciate and actively seek out the unique characteristics of other terroirs is become far more widespread. Covering 34,700 hectares, of which 13,250 are covered with vineyards, Grande Champagne is known as the ‘premier cru’ growth area. This simply means that the soils are such that they produce the highest quality grapes for the production of Cognac. It’s hilly region, with soil made up predominantly of limestone (chalk). It’s time to understand a little more about chalk and soil. In the heart of the Grande Champagne region, the chalk within the soil is very pure. This type of chalky soil is one of the five discovered by Coquand, and is called Campanian. This chalk is mainly found at the highest elevations of this terroir. However, the story of chalk certainly doesn’t end there, because there are two further layers that reach surface level at various points of Grande Champagne. These are called Angoumous chalk, and Cognacian chalk, the latter of which is found around the town of Cognac itself. The high chalk content of this region is the product of millions of year’s accumulation of small marine fossils. One of these fossils is totally unique to the area–an oyster from the Cretaceous period known as, Ostrea vesicularis. The soils of Grande Champagne produce Cognac of extreme finesse. They are floral, light, and require a long aging period to hit maturity. Some Grande Champagne eau-de-vie can take a century or more of aging in oak barrels to reach their peak. 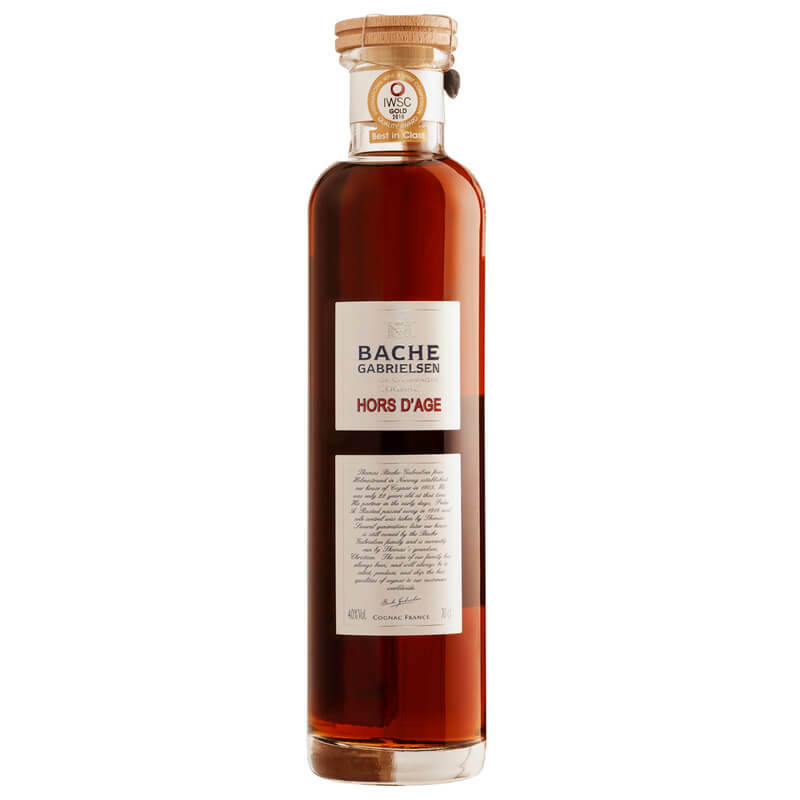 A particular favorite of ours from the Grande Champagne terroir is the Bache Gabrielsen Hors d’Age Grande Champagne Cognac. This gold medal winning offering is the flagship from this house, and was over half a century in the making. The oldest eau-de-vie in the blend was harvested in 1917, and the youngest in 1960. It’s an excellent choice for anyone wanting to experience just how wonderful a Cognac from this premier cru can be. 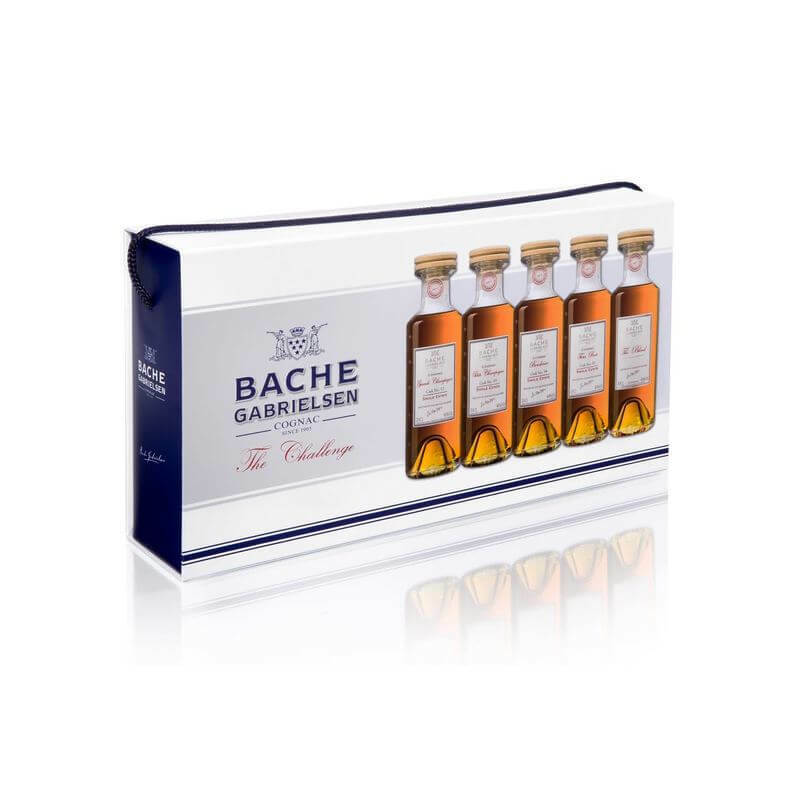 Discover more Cognacs from the house of Bache Gabrielsen. The soils in this region are still predominantly made of chalk, but the soil is more compact. It’s also covers a much larger overall area than it’s big brother, Grande Champagne; 65,600 hectares in total. However, only 15,250 hectares are comprused of vineyards. The terrain is such that water flows very slowly here, meaning it remains damp even during particularly dry summers. Another of Coquand’s ‘super soils’ covers much of this region. He named it, Santonian, after the collective area of Saintonge. Grapes grown here produce eaux-de-vie that’s light and fine, with a predominantly floral bouquet. In common with those of Grande Champagne, they take a long time to mature. 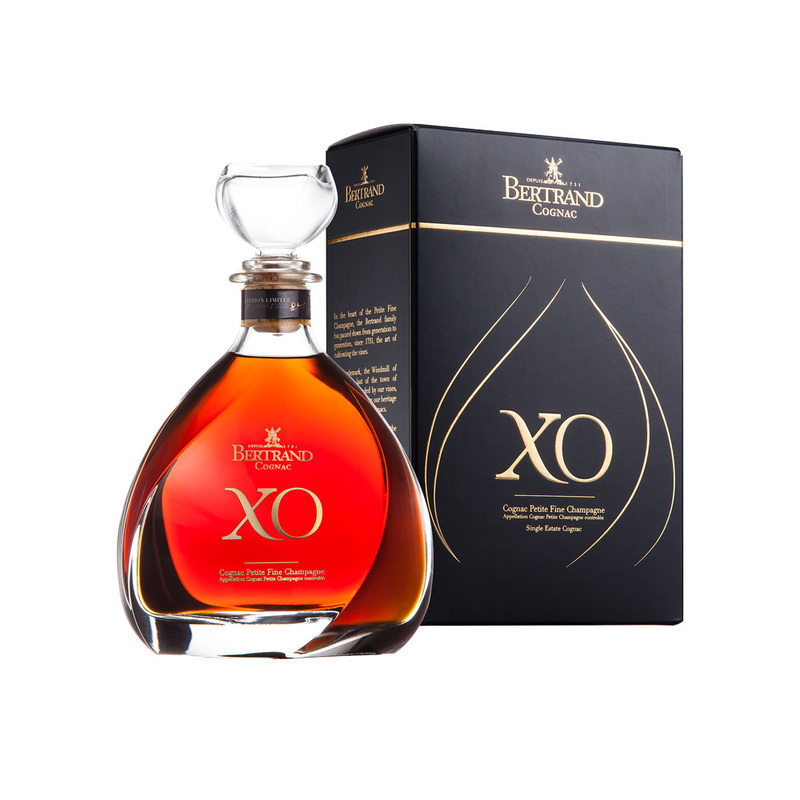 We love the multi-award winning Bertrand XO Cognac. It boasts some wonderfully unusual aromas and flavors, including that of cocoa, walnut, and cocoa. Pure Petite Champagne, the average age of each eau-de-vie that makes up the blend is around 35 years. Find out more about the little known house of Bertrand. The smallest of all the terroirs, Borderies covers around 12,500 hectares, but only a mere 4,000 hectares of vines. It also contains the final of the five soils identified by Coquand; Groies. It’s a mixture of both chalk and clay. It’s also the oldest soil in the region, dating back to the Jurassic era. 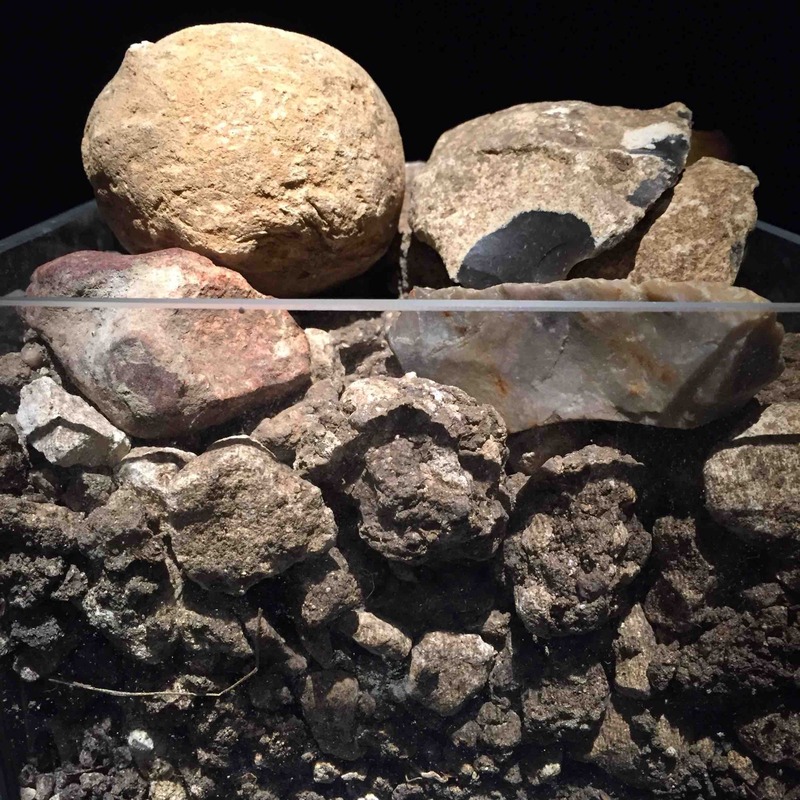 Over time the limestone content has decomposed, and the terroir produces rounded eaux-de-vie, with characteristics only found here; the aroma of violets, and nutty, toffee flavors. The Borderies region is of particular interest to paleontologists, with over 2000 fossilized remains having been discovered here. Theses include teeth of dinosaurs, crocodiles, and pterosaurs that were protected by the clay content for over 135 million years! Read more about the Borderies terroir, and see the Cognac Expert recommendations for examples of some great Cognacs from this tiny growth area. For a wonderful example of the uniquness of a Borderies Cognac, we can highly recommend the La Guilde Cherves Richemont Borderies 2010 Cognac. The year 2010 produced an exceptional harvest in the terroir, and this vintage offering is the perfect way to experience it. 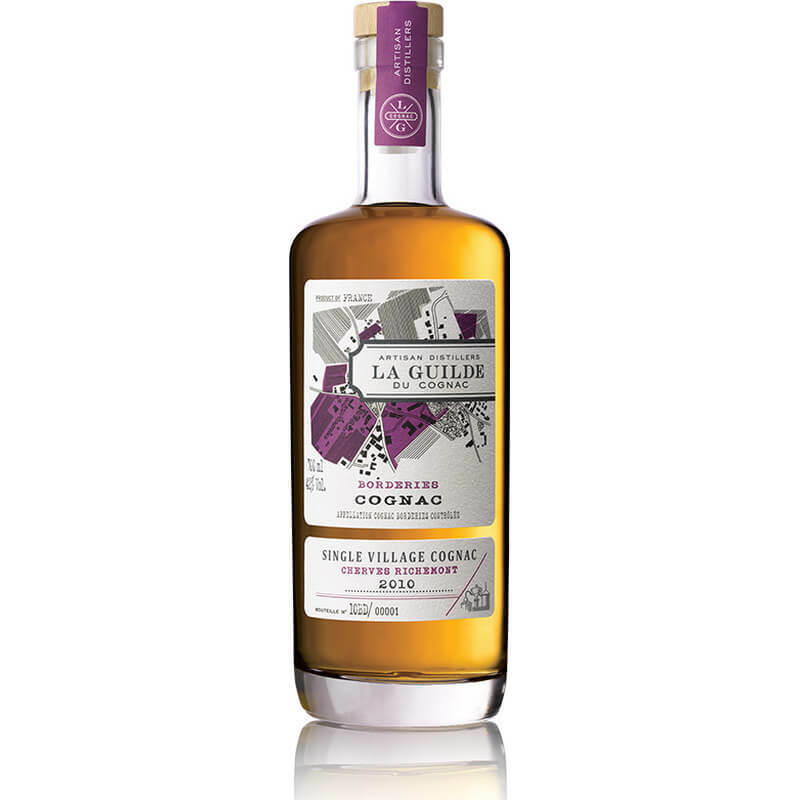 Find out more about the unique concept that is La Guilde du Cognac. The largest of all the growth areas at 350,000 hectares, with 31,200 planted to vines. Fins Bois has a mixed soil of clay, stone, and limestone, but has far less chalk content than the previous three terroirs mentioned. In addition, the chalk is of a different type, being far less porous. It’s the same, in fact, as that found in the wine growing regions of Burgundy and Champagne. The Grapes grown here produce eaux-de-vie that is round, supple, and with aromas of freshly squeezed fruit. However, within the terroir of Fins Bois there are pockets of chalk very similar to that of Grande Champagne. 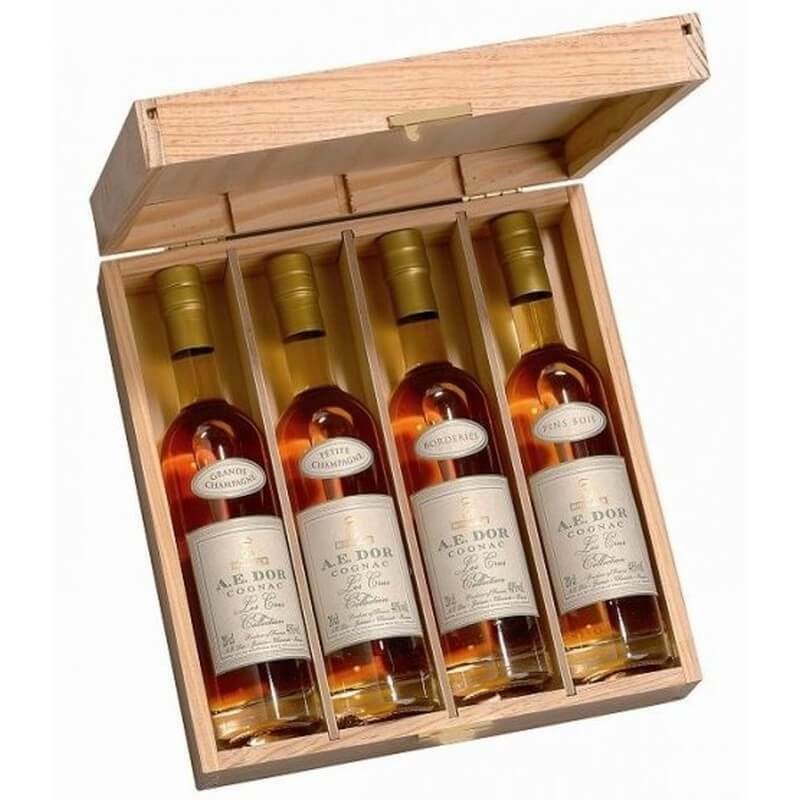 And here some remarkable eaux-de-vie is produced, making the addition of such a Fins Bois to a blend extremely desirable. Not to mention, of course, how good such a single vineyard offering might be. For an exceptional Fins Bois Cognac, look no further than the ABK6 XO Family Reserved Aged 10 Years Cognac. With too many awards to mention, this single estate Cognac is a joy from every angle. It’s beautifully presented in a contemporary bottle, teases the eye, delights the nose, and is simply sublime on the palate. If you’ve yet to fall in love with Cognacs from the Fins Bois terroir, this will definitely be the one that will make your heart go all a-flutter. Learn more about the innovative house of ABK6. The terroir of Bons Bois covers 370,000 hectares and 9,300 hectares of vines. The soil here is a mixture of clay, limestone, and sand. Eaux-de-vie from this region is round, and ages much quicker than that of many of the other areas. Once again the regions has a few areas of high quality chalk, and these can produce some exceptional Cognacs. 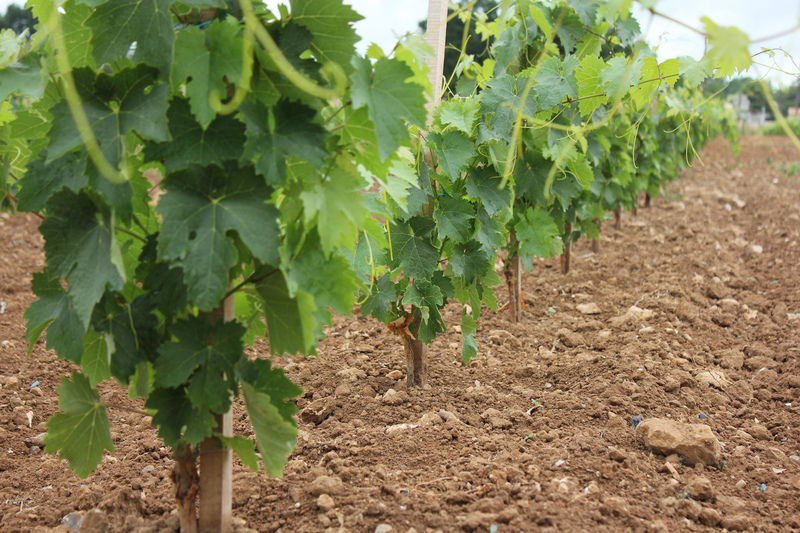 Covering 260,000 hectares and 1066 hectares of vines, the soils here are very sandy, with little chalk. It includes the regions of Ile de Re and Ile d’Oleron. Eaux-de-vie from this region ages fast, and has a very characteristic ‘maritime’ taste. While many would consider these Cognacs to be of a lower quality than from more prime terroirs, the proximity to the ocean leads to a distinct flavor. This has led to some wonderful Cognacs being brought to market, such as those produced by Camus. 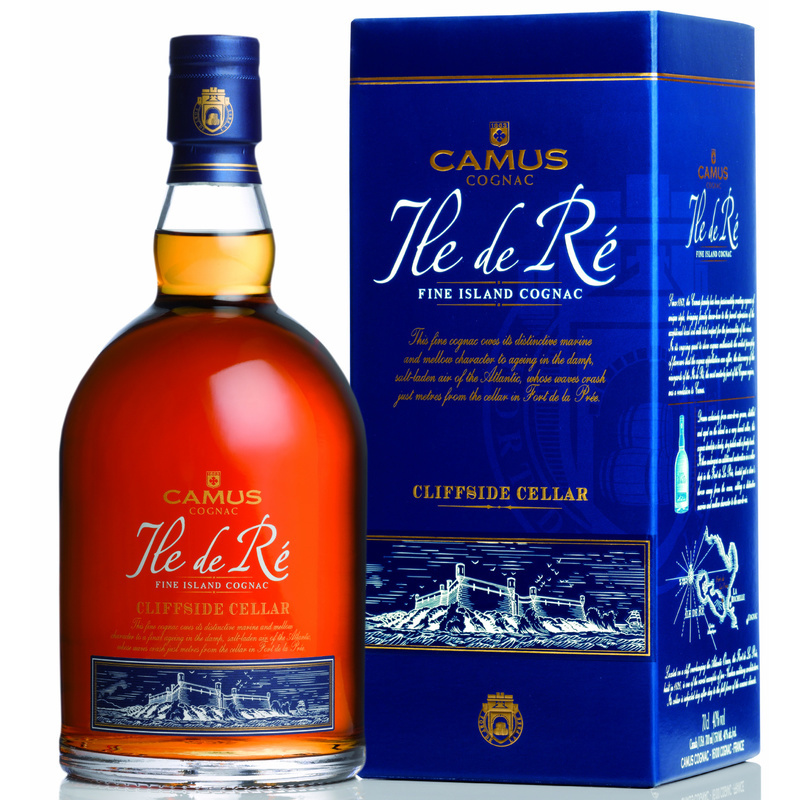 We love the Camus Ile de Re Cliffside Cognac, a great example of how the salty location creates its unique stamp on eau-de-vie from this terroir. Find out more about the forward thinking house of Camus. So what’s the big deal about chalk? There are two main reasons that the chalk content and type is so important. The first is that it lends itself to good drainage, whilst still keeping a good percentage of moisture. Being as this region of France has a temperate climate, with some hot, dry spells during spring and summer, this is very important to allow the deep roots of the vines to keep well hydrated. These roots can grow to a depth of 25 meters, so the ability for a constant supply of water is paramount for the successful growth of the fruit. Secondly, grapes grown in chalky soils are higher in acidity. And this acid content is vital to produce good Cognac. While you certainly wouldn’t look for such a quality in a wine, for Cognac, it’s essential. 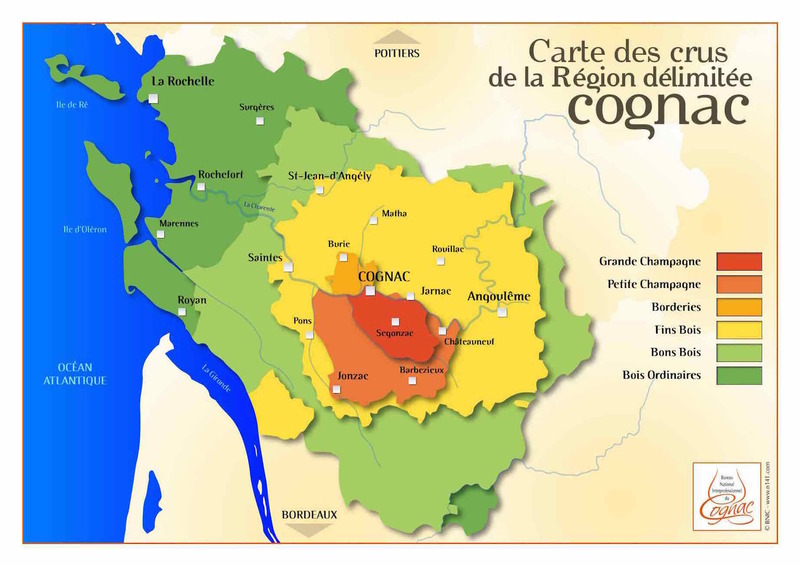 So there you have it; a round up of the six different terroirs of the Cognac region. As you can see, each has its own unique qualities, leading to totally different flavors, aromas, and complexity. While it remains true that Grande Champagne and Petite Champagne Cognacs will always remain the most sought after, if you’re prepared to open yourself to the differences on offer, you can really expand your knowledge and pleasure when choosing what to try. A great way to begin your journey into the differences between the terroirs is by taking advantage of a tasting set. For example, the A.E. 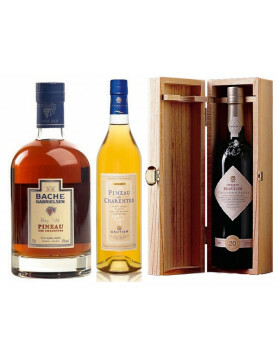 Dor Quatre Cru Tasting Set showcases Cognacs from Grande Champagne, Petite Champagne, Fins Bois, and Borderies. Bache Gabrielsen have taken this a step further, with their ‘Make Your Own Blend’ set, which allows you to try blending your own. 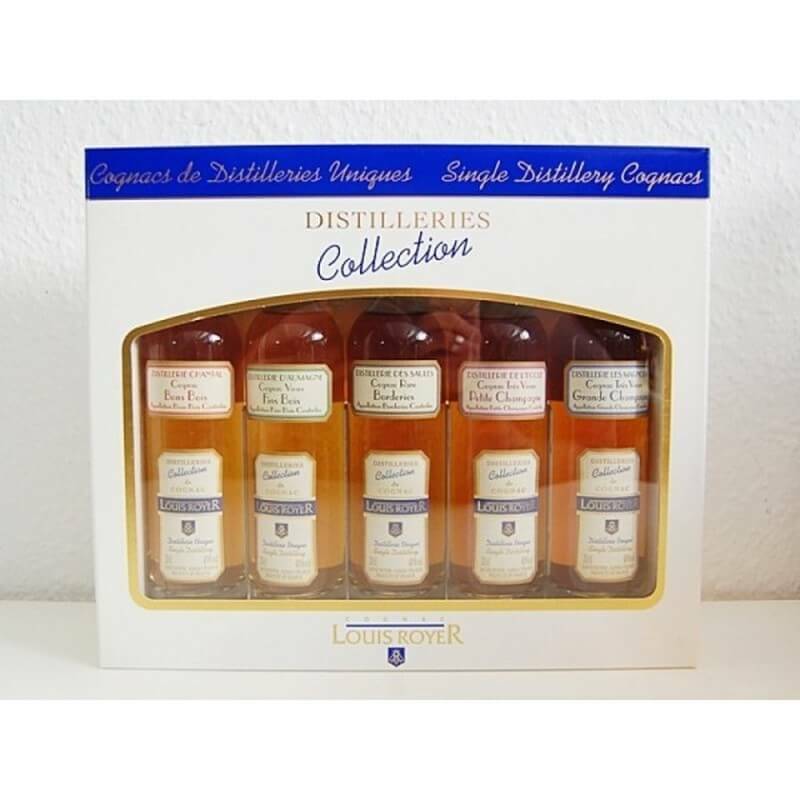 Louis Royer also produce a wonderful set, called the La Collection Distillerie, with excellent offerings from Grande Champagne, Petite Champagne, Borderies, Fins Bois, and Bons Bois. glad to find your little blog here when i was after some info. i work in a fine wine store in Australia and i recently attended a tasting for Hennessy cognac, conducted by their brand manager. he mentioned the history of the word Champagne meaning “open country”, which is apparently what Champagne and Cognac have in common. I’m sure its quite possible that both are correct. thank you for the nice blog! Stephen, I’ve heard a slightly different version. Derived from the Latin “campus” ”campagna”, old French word for “country side”: where one can set up a camp and/or start cultivating. We need a time machine to solve this mystery. Well, “Champagne” in the French is derived from the Roman Latin root from which we also get “Campagna” in Italy, “campaign”, and both Cognac AOC Champagne and sparkling AOC Champagne. It was given to me after a friend mother pass away. I can not find out anything about it. Its is in a red box with gold writing on it. Can you help me please? Are you looking to sell your cognac? If yes, you can have a look at our auction section. The process would include an estimation of your bottle´s value by our experts. For further questions, please have a look at our auction FAQ.